Chicago, the Windy City, home of the deep dish pizza, birthplace of the skyscraper and ‘place of activity’ for Al Capone. And last but not least, the location for the 2016 Joint Statistical Meetings from 30th of July until 4th of August. Being part of the IDEAS network allowed us to travel to the US and to participate in this huge conference. In front of Cloud Gate (left) and Downtown Chicago (right). You get the idea, it’s pretty big. This can be a bit overwhelming at first (especially if you haven’t been to many conferences like us), since it can sometimes be hard to pick between 30 parallel sessions. On the other hand there are almost guaranteed to be sessions that fit your research interests. This year, to help you with planning your schedule, there was also the official JSM App. 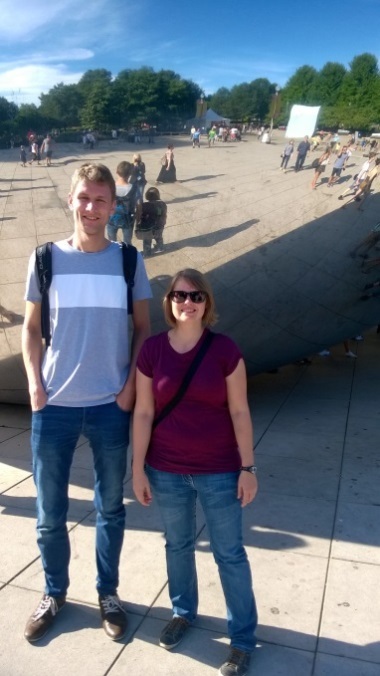 In case you were bored and had already caught every Pokemon in Chicago, it also included the JSM challenge, which consisted of quizzes and tasks that had to be completed in and around the conference centre (Shoutout to Susanne from our sister project ASTERIX who finished in the Top 10). The sessions were split into featured events (such as the first-time attendee orientation or student mixer) and featured speakers, invited sessions, topic-contributed sessions and contributed sessions. Invited sessions and topic-contributed sessions have an organizer who decides about the speakers in the sessions whereas the contributed sessions have a topic, but the presentations are often not closely linked to each other. 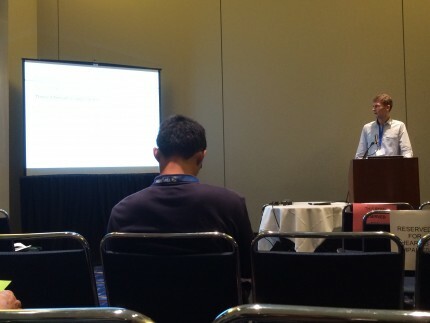 In contributed sessions, up to seven speakers present their results in 15 minutes, in the other type of sessions, the number of presenters and the time can vary. At the end of each session, it was possible to ask questions and discuss with the speakers. As one would expect with such a big conference quality of the talks was mixed. This was especially the case in the contributed sessions, where many of the presenters were students, who were presenting at a conference for the first time, just like us. Understandably these talks are often (but not always) about results that are not exactly ground breaking and the presentation style could be improved. 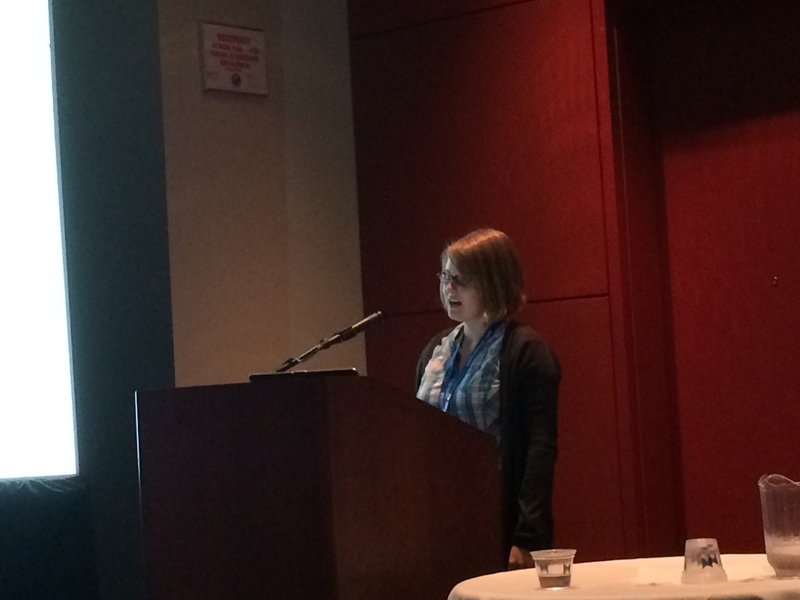 On the other hand talks of invited speakers were often (but not always) interesting and insightful. For both of us, it was also the first time to speak at a conference. While we were both pretty nervous beforehand, everything went well and we were both happy with our talks. But of course there is always room for improvement. 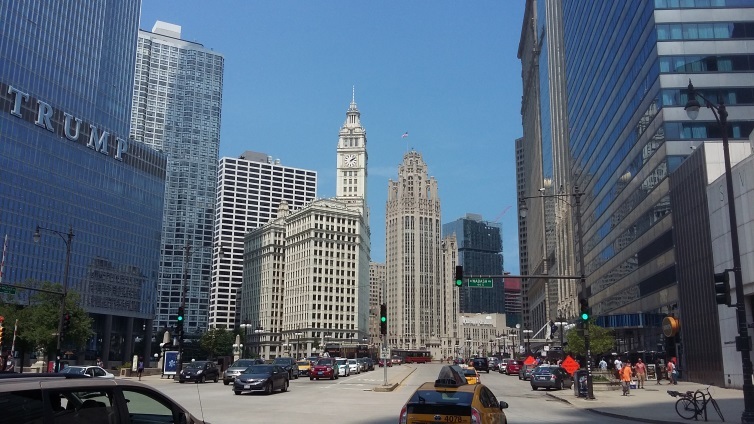 Downtown Chicago is impressive with its diverse architecture and the massive Lake Michigan directly nearby. 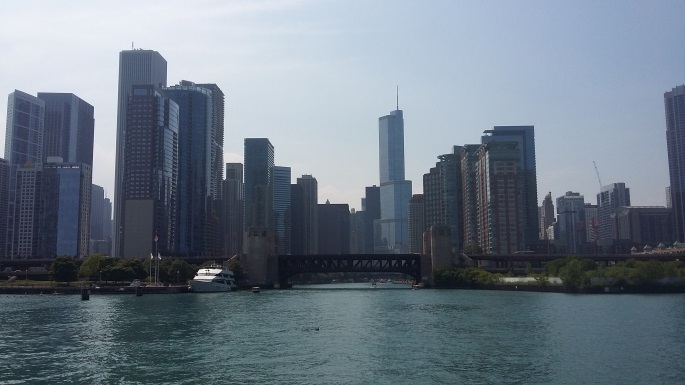 If you are ever in the city definitely take a boat tour on the Chicago River, where you will learn many interesting facts about the city. Did you for example know, that Chicago means wild onion in the local Native American language? 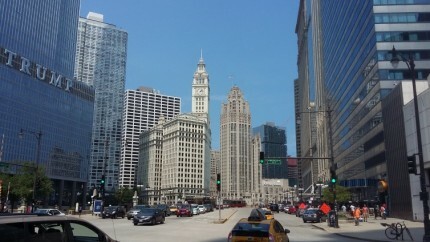 Or that Chicago was used as Gotham City in the Batman movies? It is also a nice place to shop and not only for onions. We can vouch personally for this, since our luggage was delayed for up to 4 days (Dank je wel, KLM! ), so we had to spent the first evening buying clothes for the conference. Both of us also took the opportunity to explore the USA a bit more after the conference ended. All in all it was a great experience for us; we met many new people and listened to interesting talks, giving us plenty of insight and new ideas. 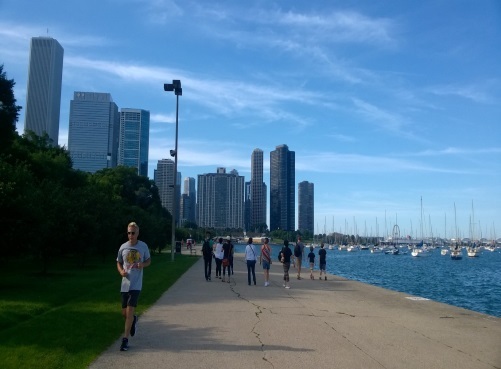 Lakefront (left) and the Skyline of Chicago as seen from Lake Michigan (right).